The Gloo Factory can produce a wide variety of products using screen, offset and digital printing equipment. We print shirts, signs, banners, stickers, buttons, newsletters, envelopes, business cards, newsletters, books, posters, custom apparel, and much more! If you need help designing your logo or creating a layout, the Gloo Factory has you covered. We offer custom illustration and design services, along with layout and desktop publishing. The Gloo Factory has a unique relationship with DouglaPrieta Works, a women’s sewing cooperative and community center located in Agua Prieta, Mexico. 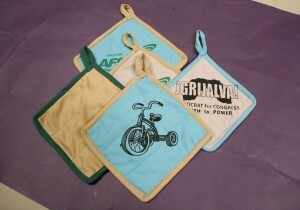 DouglaPrieta Works can create a variety of unique items that we can then further customize with logos and artwork. 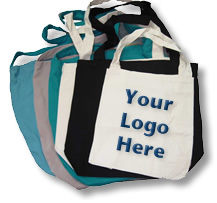 Some of our projects so far have included reusable canvas bags, potholders, and aprons. If you have a unique project in mind, we’ll be happy to make it a reality! Learn more about our partnership and the available items we can order.